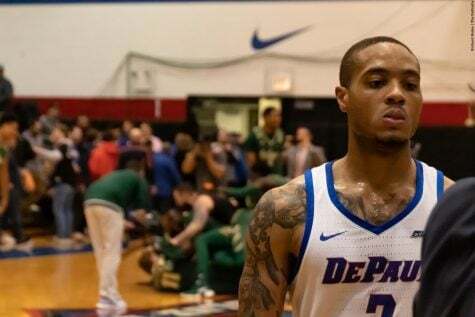 Senior Billy Garrett Jr. saved the night after his buzzer-beating shot helped DePaul beat Missouri State, 68-66, and propel them to a 3-1 record in the overall season. 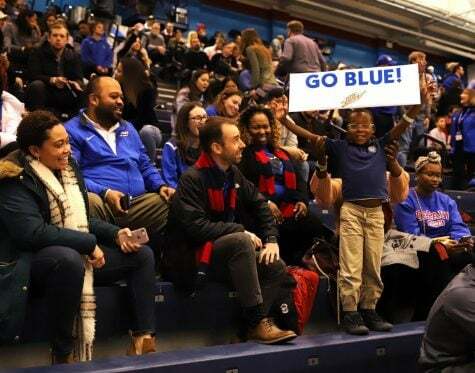 What ended as a sweet victory for the Blue Demons, didn’t always appear to look that way from the beginning of the game. DePaul won the tip-off, but that was about it in the first half. It was Missouri State who made the first statement with a three-pointer to start the first half. 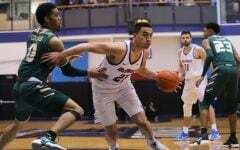 The Bears rolled out to their first half advantage with a high proficiency from behind the three-point line. DePaul was 0-8 behind the three-point line in the first half, compared to the Bears, who were 7-16. Various Blue Demons were switched in and out of the game, hoping to change the momentum of the game. 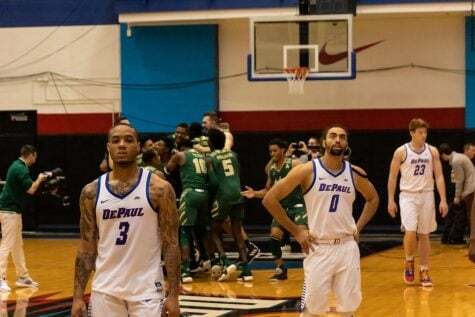 From senior, Chris Harrison-Docks, to freshman, Devin Gage, nothing was enough to help DePaul get a lead in that first period. Head coach Dave Leitao could be seen throwing his towel on the sideline and yelling at junior Tre’Darius McCallum as he got a foul. Evidently upset, Leitao made it clear that mistakes like that had no place in games like today. 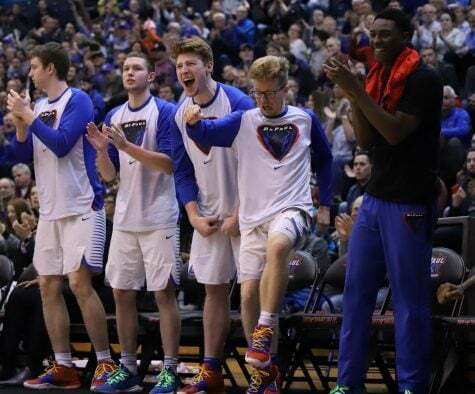 With only a couple seconds left on the clock, he didn’t even wait to see whether Senior Chris Harrison-Docks’ shot went in, and proceeded to storm off the court. 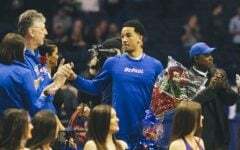 Following a much-needed halftime, McCallum redeemed himself and began the second half with a dunk of his own; enough to lift up the Blue Demons’ spirits. You could almost hear the spit hit the floor, as Garrett yelled “E! E!” for sophomore, Eli Cain; the two were the team’s leading high scorers with 23 and 22 points, respectively. The Blue Demons had finally woken up. 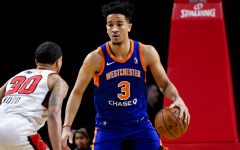 McCallum could be seen making drive, after drive, after drive, to eventually be another lead scorer with 10 points, and also lead with 12 rebounds. Together, the trio’s aggressiveness gave the team enough momentum to get their first lead in the game at 63-62. Simple, but huge, Garrett’s consistency to make his free throws is ultimately what allowed DePaul keep their lead. 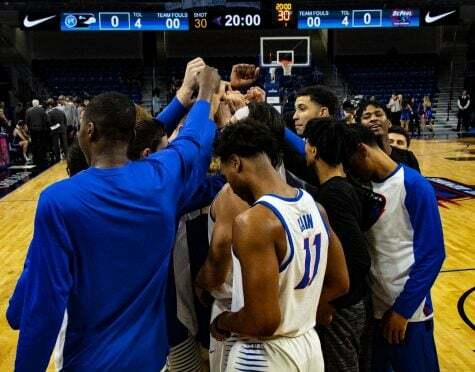 As a team, the Blue Demons were 88% for free throws. But for Garrett, it was McCallum who did the most work. 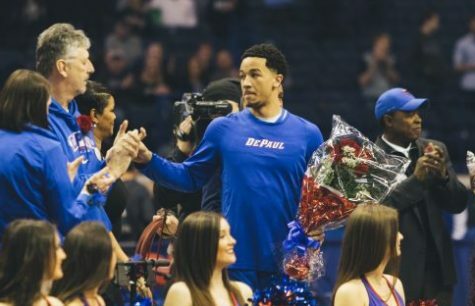 Everything seemed to be perfectly in place for a Blue Demon victory as they came back from being down as much as 13 with seven minutes to go. Then, suddenly, the game was tied at 66-66, with only 13.7 seconds left on the clock. Wasting no time, Leitao called a timeout to let them know how the night would end. “I said, ‘we’re going to win the game,’” Leitao said. And they did just that. 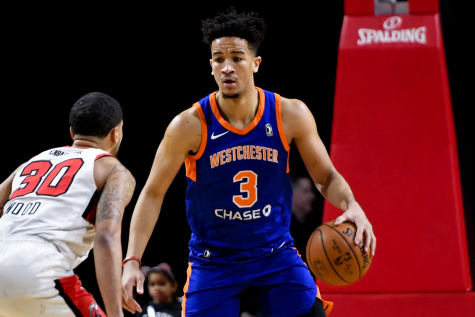 Garrett closed out the game with a buzzer-beating shot to end the night’s game, 68-66. 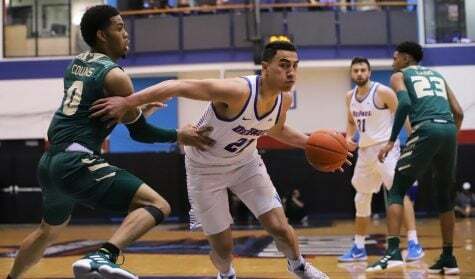 “Billy had a magnificent second half, and that last shot was I think something that he’s come to know that he could do, and he’s done in the past, so he was great all around,” Leitao said. 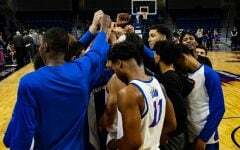 The Blue Demons have a lot to be thankful for this Thanksgiving, but getting this win might’ve made its way to the top of the list. 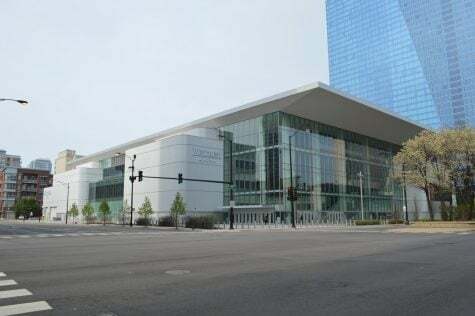 With the holidays in full force, DePaul will have an entire week to re-energize and practice before they face Drake next Wednesday at the McGrath Phillips Arena.